The Zika virus is transmitted through the bite of an Aedes mosquito, like the one shown above. Just as Ebola fades from the headlines, another infectious disease, the Zika virus, has captured the world’s attention. Although it’s been around for decades, Zika’s recent arrival in Brazil has made it a hot topic because of its suspected complications for pregnant women. Since May, 1 million cases have been recorded in Brazil, and nearly 4,000 infants have since been born with microcephaly, or an abnormally small head. The association between this condition and Zika in pregnant women is being investigated. Zika cases have been reported in 23 countries and territories so far, including Haiti and Mexico, where Partners In Health has thousands of staff and serves thousands more patients on a daily basis. There is evidence that Zika may have been in Sierra Leone and Liberia. Much like malaria, cholera, and tuberculosis, Zika most affects those who can least afford to protect themselves from illness. Staff spoke with Dr. Joia Mukherjee, PIH’s chief medical officer and a renowned infectious disease expert, about Zika’s origins, the complications it may cause for pregnant women, and why this virus keeps her up at night. 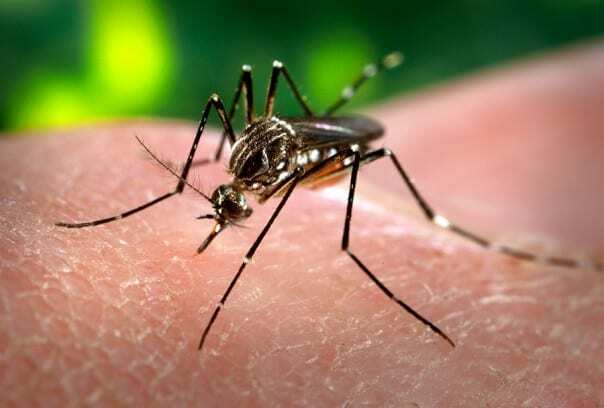 It’s transmitted by the bite of the Aedes mosquito, which is the same mosquito that transmits chikungunya and dengue fever. That mosquito is everywhere in the hemisphere, including the southern United States. The northern United States and Canada don’t have the Aedes mosquito, but Florida, Texas, and the Gulf states do. Eighty percent of people who have Zika appear not to have symptoms. So they’re just sitting there, a mosquito bites them, and the Zika virus lives in the mosquito until they bite another person. Then they transmit the virus to the other person. Why has it spread so rapidly? One hypothesis about why it has spread so rapidly in Brazil is that you’ve got a large, mobile population. And that large, mobile population is also leaving Brazil and going everywhere else. So it’s the mosquito itself, but it’s also our own system of air travel that’s spreading it. Brazil is a major socioeconomic power. People are in and out of Brazil, and they don’t even know they’re carrying the virus. You said 80 percent of those infected are asymptomatic, but what shows up in the other 20 percent? Generally the symptoms are headaches, fatigue, some joint pain. Maybe a little bit of rash, but it’s very mild. That’s part of the problem. People are well, they’re walking around, they’re working. They feel OK. It lasts a few days, and then they’re fine. What are complications of the disease? In other outbreaks outside of Brazil, there were reports of severe illness with Zika, particularly Guillain-Barré syndrome, which is a paralysis that can be associated with a variety of things. But in general, it’s mild. With the Brazil outbreak hitting 1 million, health professionals started to see case reports of a severe birth defect called microcephaly. It’s a devastating lack of development of the fetal brain in utero. The link between this birth defect and maternal Zika is being investigated. A handful of other viral illnesses in pregnant women may cause a constellation of problems, including microcephaly. I suspect there may be other manifestations of Zika, and that microcephaly is really a tip of the iceberg. All of that is being studied now. That’s why it’s so scary to think about in pregnant women contracting the virus. We don’t know if the virus causes these birth defects and, if it does, at what stage of pregnancy this is happening. We don’t know the spectrum of disability or problems that may be linked to Zika. Is there a vaccine against or treatment for Zika? There is no vaccine, no treatment. With viral illnesses, if you get better and you don’t get sick again, that immunity or antibody response we can sometimes parlay into a vaccine. That would be the hope for control of this virus. A vaccine is going to be important, and I’m sure people are looking into it. But do we have any vaccines to prevent mosquito-borne illnesses so far? No. What preventive measures can people take? They can wear long pants and long sleeves, and apply any kind of insecticide or insect repellant, such as Deet or eucalyptus oil. People who have day jobs indoors with air conditioning and screens on their windows are going to fare better than people who are peasants and market people, which are unfortunately most of our patients. What about reducing or controlling the population of these virus-transmitting mosquitoes? There are countries that have embarked on some level of mosquito control, but it’s very complicated. You need roads, you need to drain swamps, you need to have municipal landscaping, cutting brush and large-scale insecticide application—these are very big hurdles. What precautions is PIH taking to protect its staff and patients? We’re taking every precaution. PIH is saying that anyone who’s planning to get pregnant or is pregnant cannot travel to a Zika-affected country on PIH business. And we’re strongly encouraging people to actively use birth control so they don’t get pregnant while they’re in a Zika-affected area. That’s piece one. Piece two is: What do we do for the 30,000 women we take care of in Haiti who could now be exposed to Zika? Our classic protections against mosquito-borne disease, particularly malaria, are really only effective with night-biting mosquitoes. The mosquitoes that carry malaria are night-biting. But this mosquito is day-biting. So for peasant farmers, for market women, how are they going to protect themselves? Well, that would be with Deet, the more potent bug repellent, which is not at all widely available. Protective clothing like long pants and long sleeves also helps. Trying to do some vector control—spraying, brush cutting, things like that—is again beyond the control of individual families or communities. The preventive aspect is really challenging. I’m hoping we can at least figure out a way to disseminate mosquito protection, like Deet. Can we screen pregnant women? Can we follow up with those women who we think might be at risk? We have to really think about how we care for our patients. There’s almost no good way to protect the population we care about and serve against this. I’m worried about that. There are a lot of unknowns about Zika. What are some of the questions you have as an infectious disease expert? One of the things we wonder about is: At what level do you get to “herd immunity?” Chikungunya, for example, ripped through Haiti. After a certain point, enough people get sick and get well again and get some immunity that they don’t get sick. The disease stops being transmitted, because you have to have a human intermediary for the mosquitoes to keep carrying it. At a certain point, you see a tipping point where there’s some level of herd immunity and the epidemic starts to trend down. The question is: What level is that? We think there is immunity to Zika. When you have more and more people who don’t get sick and clear the virus from their blood, eventually you break the cycle of transmission and your number of cases goes down. This is a normal epidemic curve. As with influenza patients, you get enough immune people that it starts to go away. Also, if we really think this association is very strong [between Zika infection during pregnancy and microcephaly among newborns], will there be stepped-up efforts for a vaccine? We could vaccinate pregnant women. But a vaccine can only be developed if protective immunity is understood.